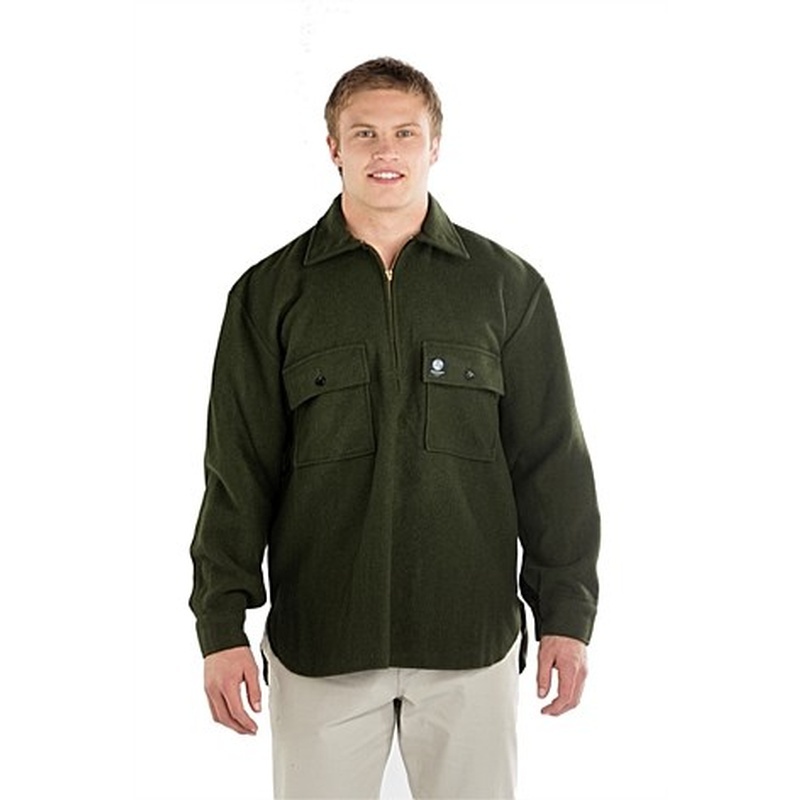 Iconic wool bushshirt from New Zealand, this is the Ranger. A simple 100% wool 1/4 zip top, that makes a superb mid layer or outer layer on warmer days. Its durable and comfortable and with the lanolin left in the wool, its resists water, doesn't readily pick up odours and dirt and therefore hardly ever needs washing. Its has a nice ample collar and two breast pockets and brass zip. Its a superb addition to your outdoor gear and one thats stood the test of time in many enviroments. Talking about washing, I almost never wash mine, if its gets dirty, just let if air dry and then brush off the dry dirt, it you ever have to wash it, make sure you use a cold or very cool water, a non bio washing powder (ie something thats not going to strip out the lanolin) and make sure you dry it laying flat. These are from New Zealand still made from NZ wool, though the cut/sew is off shore, the quality is still as good as it ever was. Purchase through PayPal by using the "Add To Cart" button above or use the form below to order the Swanndri Ranger Bushshirt Olive . Feel free to contact us if you have any questions about the Swanndri Ranger Bushshirt Olive .